1959 Honda RC 160. 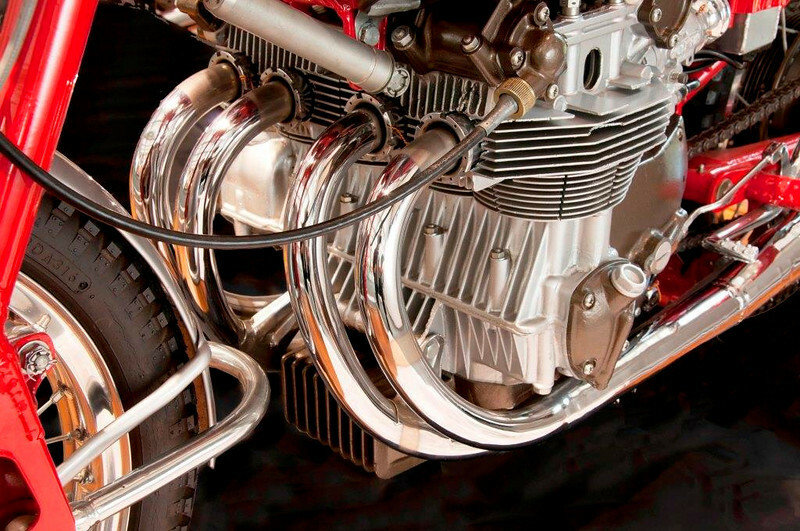 This DOHC air-cooled four made 35 hp at 14,000 rpm. This was Honda's first four cylinder DOHC engine. It had a 5 speed transmission and 4 carbs. I prefer the B&W rendition, but the red paint on this one is mighty attractive also. (Honda Collection Hall).